Designed to traps airborne particles pollen, dust, pet dander, mold spores, and microscopic allergens plus odors and smoke. 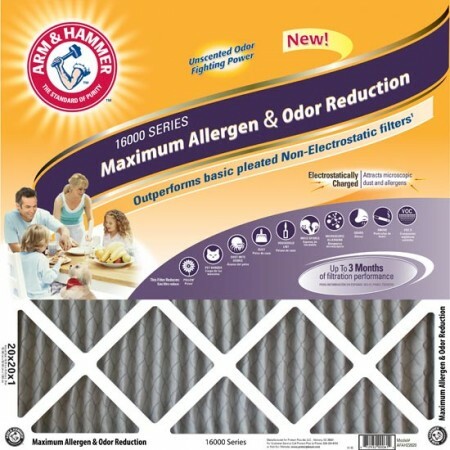 ARM and HAMMER Maximum Allergen & Odor Reduction Air Filters are designed to traps airborne particles pollen, dust, pet dander, mold spores, and microscopic allergens plus odors and smoke. Like many ARM and HAMMER products that are designed to clean, this filter is designed to help "clean" the air in your home by reducing airborne particles.